Our committees drive this organization! 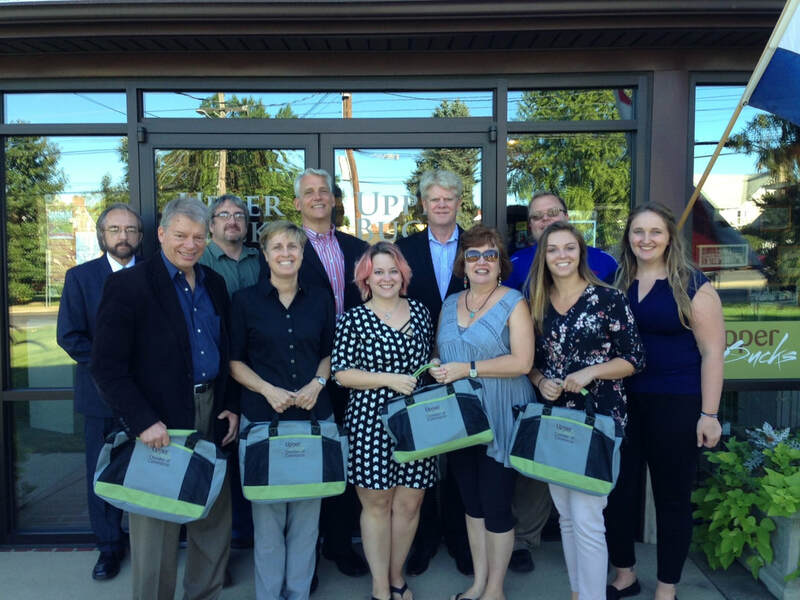 A key purpose of The Upper Bucks Chamber of Commerce is to provide a voice, a forum, for its members. And for you, serving on one of the Chamber’s committees is a chance to make sure your voice is heard. It affords you not only the opportunity to contribute to the decisions that shape our business community, but a chance to increase your organization’s visibility while meeting colleagues and potential clients. Our annual restaurant festival, held in October of each year, requires a dedicated group of local foodies to orchestrate the finest selection of bakers, brewers, vintners, distillers, chefs and other various food purveyors to share samplings with the more than 400 attendees to this premier event . Partial proceeds benefit UBCC Foundation educational programs such as Pennsylvania Free Enterprise Week and Leadership Upper Bucks. If you’re interested please email info@ubcc.org. This fun band of brothers and sisters plans the Annual Upper Bucks Golf Classic to generate operating revenue. The outing is held every year in June and draws over 125 golfers, comprised of local business owners and influential community members, more than 40 volunteers and any UBCC member that just wants to hang out with us for the barbecue and fun after the course has been completed. If you’re interested please email info@ubcc.org. This dedicated group ensures that UBCC is the voice of business in Upper Bucks before all layers of government. In addition to tracking legislation and regulations, wading through threats and opportunities, and setting policy priorities, this group also organizes several informative events throughout the year. Presentations from our elected representatives include State of the County, State of the State and State of the Nation – and in election years, the Committee helps organize debates, including candidates for the 8th Congressional District. Be a part of this important and growing committee – and share any comments, questions or concerns with info@ubcc.org. This passionate team of volunteers serve as true ambassadors of our Chamber. Meeting monthly, and coordinating regularly in between, members lead the outreach to the broader business community. They actively prospect and recruit new members, and lead member retention efforts. This committee serves as the first welcoming party to UBCC, greeting new members and helping acquaint them with their peers and numerous benefits of membership. The committee also plays a key role in member benefits, always looking for ways to add value to your membership investment. They are always looking for dedicated volunteers, if you’re interested please email info@ubcc.org. Click here for more information or to join a UBCC Committee!